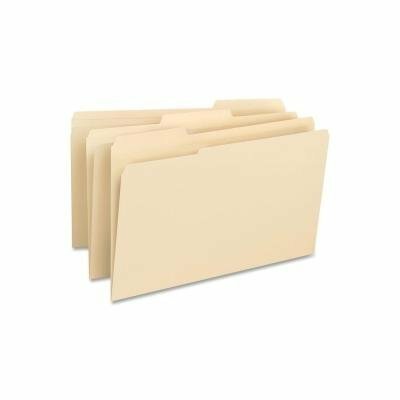 Heavyweight, durable file folders fit any vertical or lateral filing system and are designed for frequent use. Each folder is made with sturdy, 14 point stock and post-consumer materials. Single-ply tabs are 1/3 cut in assorted positions for easy access to your legal-size files.